I participated in the Total Me Zone yoga program at the Cov. At first I didn’t like it, but now I make it a part of my daily routine. It really helps me start the day, remain focused, and relax at the end of a stressful day. At the Veterans Affairs Medical Center (VA) in Detroit, we support veterans who are suffering from trauma due to their service. These courageous individuals sacrificed for us and their country. Sunshine found our free program for veterans suffering from trauma at the VA. She feels calmer, less anxious and better able to focus, and her progress keeps her coming back. For Joan, yoga is survival training for mind, body and soul. I am the mother of a 34-year-old daughter with physical and intellectual disabilities. My daughter, Emma, is most fortunate to attend yoga classes sponsored by the Yoga by Design Foundation at Enhance. Enhance is a social service agency providing services to help my daughter and similar individuals, live healthier, more independent lives. The classes are tailored to the students’ unique needs with the instructor skillfully guiding each student according to their ability. Since its inception, my daughter has found great joy through the YBDF yoga program. On occasion, I have stayed to observe my daughter in the yoga class. I am so impressed by the YBDF Instructor, Rebecca Roman, who deftly motivates & guides the group of women, all of whom have multiple disabilities & some with mental illness. She has gained confidence and her balance has improved. She is more aware of her body and where it is in space. She has also learned to use a simple form of meditation to help her though times of anxiety and stress. On behalf of my daughter Emma and her friends at Enhance, I want to thank all those who support the Yoga by Design Foundation. The people served by the Yoga by Design Foundation are often overlooked by our society at large. These are the very people who, perhaps, can benefit from yoga the most. Again, thank you to this Foundation and all those who support it’s work. This is a great program - helping me every day in my life and in class. I have tools to manage my anxiety by using the heartfulness, kind-thought meditation and I share this practice with the students. Vista Maria is a residential foster care facility for traumatized at girls located in Dearborn Heights. 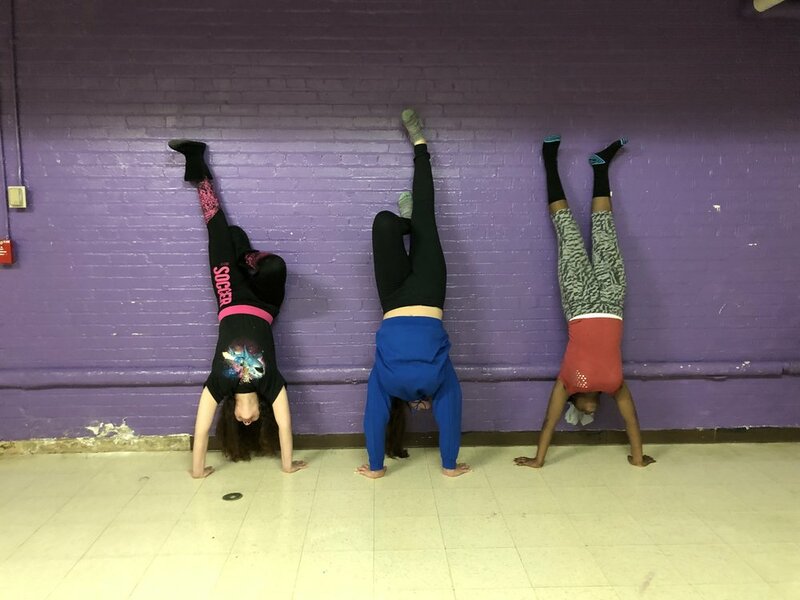 I have been teaching yoga to the girls since July 2018. During our first class, I asked the girls to close their eyes. One young lady asked, “Will I get punched in the face?” Can you imagine the traumatic experiences that child has had to allow her to utter those words? Since the program has begun, the girls’ self-esteem, respect for one another and communication has noticeably improved.